It takes texting, scheduling and rescheduling before I’m in Mark Malachi Zona’s “fishing barn” that stands on its own piece of property across a residential road from a lake in southern Michigan. Unremarkable on the outside, but inside it’s a brightly lit man cave that Robin Leach could introduce on Lifestyles of the Rich and Famous. Nothing is really extravagant in here except his Nitro Z21 bass boat along with a pontoon and a trailer suited for an ATV. There’s a living room with chairs and a short sofa, and a coffee table in front of a flat-screen TV. Zona sits here and sorts through a tackle tray of different-sized hooks. The barn is neat as a pin, with a vast array of Shimano reels on G. Loomis rods in vertical rod racks on the floor with packs of Strike King lures hanging on on pegs on the wall. A set of shelves has several large trophies and plaques from Zona’s days as a touring pro angler. Zona’s middle name is actually Chris, not “Malachi,” as he first told me. I’ve known Mark since he was fresh out of high school in the early ‘90s. I freelanced for Bassin’ Magazine back then, and my friend, Louie Stout, a senior writer for Bassmaster, once told me about this kid who was starting a career in fishing and who not only “talks the talk, but walks the walk.” Zona helped me put together several feature stories, providing insight on posing for pictures after catching a bass. He worked hard then, and works just as hard if not harder now. Recently, we caught up the eccentric and beloved television star in his “Fortress of Solitude,” where this “Superman” of all things bass relaxes when not on far-flung shoots across North America for the entertainment and enlightenment of millions who watch Zona’s Awesome Fishing Show. Here’s the start of his story … in his own words. 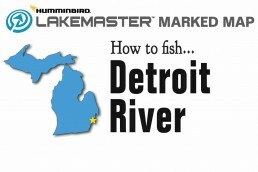 MidWest Outdoors: How’d you end up in southern Michigan? Mark Zona: When I was a kid, I remember my parents would vacation here every month, two months and then when I was about 5 they bought a small lake home. When I was done with high school—this is no joke—it was more of a case of escaping the South Side of Chicago, and all of the elements, to get out of there. I don’t like traffic and big groups of people. That is not a good place to be. When I graduated in 1991 I was 18. The night of graduation my truck was packed and I moved. I didn’t go to any parties; I was done. I hate to say it, but if I had stayed there I would’ve turned into a product of the South Side. A lot of my friends, my brother’s friends, they did not end up real good. And this area here, Michiana, saved me. Granted, I was looked at as a dork. When you and I started doing stuff together I was looked at just as a fishing nerd. What’s funny is a lot of the guys that made fun of me for all the time I spent on the water now ask me to take them fishing. MWO: What were your goals back then when you were 18? 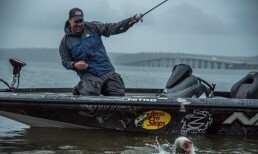 Zona: I didn’t know—in all honesty I knew back then I didn’t want to be a guy who was a gypsy traveling the country fishing tournaments, but I wanted to fish big tournaments. I didn’t want to be on the road 360 days a year fishing tournaments. 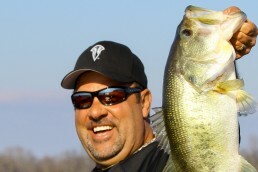 I wanted to fish tournaments on lakes I wanted to fish, whether it was Lake Lanier, Thousand Islands, N.Y. or Lake Erie. But the problem was when I got out of high school there just weren’t a lot of tournaments. I basically became what was considered a regional “cherry picker” where you make just enough money fishing tournaments to sustain a living. 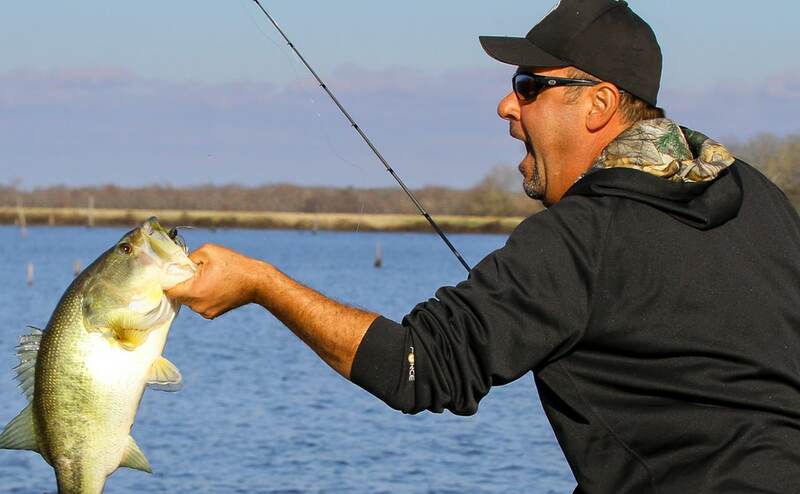 I always told myself: If I could make a little money guiding and fishing tournaments, that’s good enough for me. Then all of a sudden you meet a girl, you marry a girl, and then you have kids and then all of a sudden it’s “Whoa! There are bills!” That’s when it coincided with bigger tournaments. I came to the conclusion I was going to be a part-time boat salesman when there was snow on the ground, and a bass fisherman throughout the North and some in the South. If I could pull this off, I could sustain having a family by selling bass boats and fishing tournaments. To me that was Nirvana—and I did it. What’s interesting is that bass boats and fishing tournaments took care of my family for many years. I was fortunate. I’m not saying this to be sappy, but I owe a lot of people because the tournament career transformed into television. You say that to your father you might as well say, “I’m going to play miniature golf or volleyball for a living.” And your father looks at you like you’re Happy Gilmore and he’s like, “My gosh what have I created here?” As time went on he started to see I wasn’t going to quit at it. MWO: And the tournaments and TV? Zona: Did I intend on fishing 2,000 tournaments? Did I intend on being a TV show host? I remember being on one of the little lakes in the Midwest alone saying to myself, I don’t know how I’m going to make it fishing, but I’m gonna make it.” The thing is, right now I don’t even feel like I’ve made it. Like I’ve said, this is still a job. I always have a vulnerable, threatened feeling in my head. I had that feeling when I was fishing tournaments and as a TV show host. To me, when you feel threatened is when you work your hardest—that’s how life is. The minute you take something for granted and say aloud, “Dang it, I made it,” is when somebody catches you. MWO: Where did the passion to fish come from? Zona: There are few things you do on Earth that you do one time and you want it—you want that feeling again and again in your life. I remember the very first fish I caught, a rock bass. I was in a canoe and the bass swam out and grabbed my nightcrawler. I was like, “Whoa, whoa, whoa!” I want that again. Then, that bled into the very first bass I caught. I was probably 4 and I remember the color of the sky and the color of the pontoon boat I caught it next to. What’s interesting is I remember that feeling I had from seeing him—to landing him on that pier and screaming bloody murder. I truly believe a lot of us, whether we’re fishing or hunting, we chase that feeling. Whether it’s the first deer you shoot or the first turkey or first muskie or first bass you catch, I think we chase that feeling. This is bizarre, but now that I’m in television and I’ve gone through tournaments, you remember your prize catches—the 5-pounder in a tournament, the 10-pounder on a show. But, it’s the losses that push me harder. 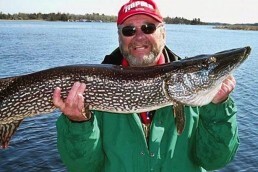 I remember the big ones I lost on my TV show a heck of a lot more than the big ones I caught. Back in the day in tournaments or when I started television 13 years ago, I took the big ones on camera for granted. I don’t any more—you never know when the next one is gonna bite. MWO: How important are big ones for a TV show? I enjoy the way you interact with your guests and the honesty with which you show the bad and the good, and not just big fish after big fish. Zona: I appreciate that. When I started I had the tendency to always think: I have got to catch them! You’re right, but it’s not true. Yes, you have to “score touchdowns” for anyone to want to watch, but it’s not first and foremost. 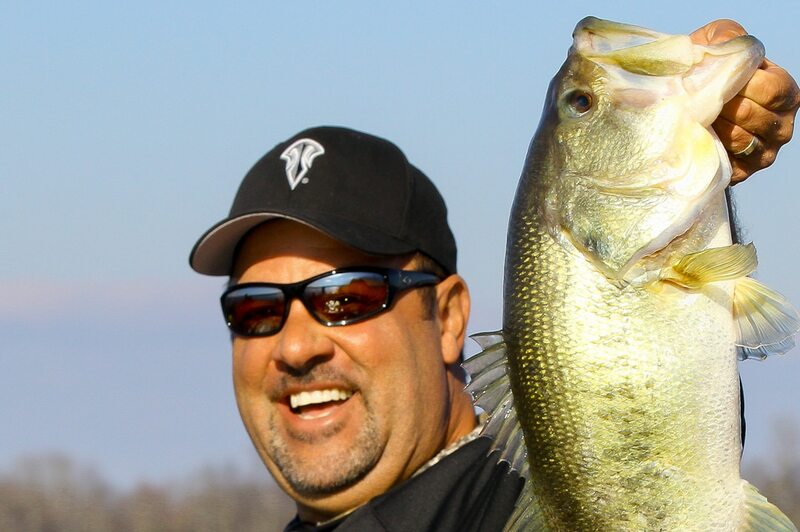 What’s funny is I aired a show years ago on Falcon Lake (big bass reservoir in South Texas) and we caught five bass that weighed 45 pounds—all 9-pounders. And I thought, I have achieved greatness. The next week’s show I caught three bass. That season aired then and lots of people still talk to me about that episode when I only caught three. Nobody ever brings up the show when I caught 45 pounds. MWO: What have you always wanted for the show? Zona: I’ve always wanted Zona’s to be real and not fake. Dude, if you’re in 4- to 5-foot waves, air it. If you go out your door and there’s snow on the ground, air it. If you catch 40 pounds, air it. If your guest catches 30 and I catch none, air it. That’s hard for some people to do. It is what fishing is. It’s very hard to do that on camera, but that’s what I’ve aimed at. Just be real and don’t B.S. and blow smoke. Don’t blow smoke because the “hardcores” will sniff you out. Want more from Planet Z? 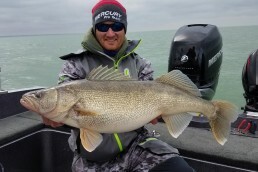 Look for more in the podcast section at MidWestOutdoors.com. 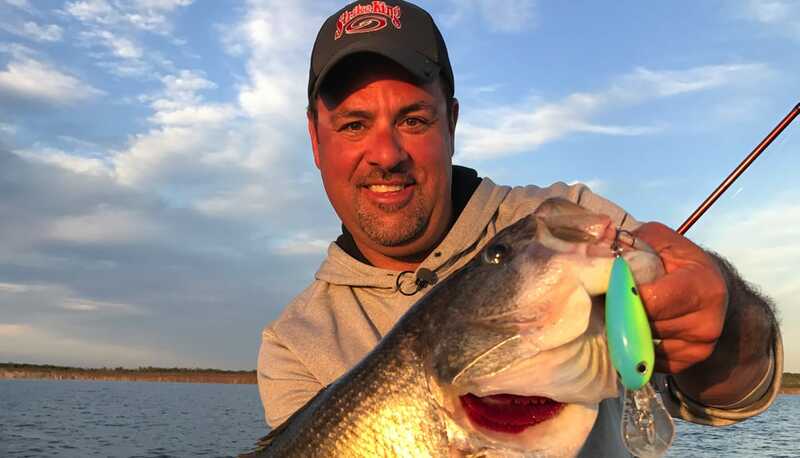 Here, Zona talks about teaching his own kids some hard lessons on tournament fishing, the most scared he’s ever been on big water and how to stay safe and a whole lot of other stuff. January 29, 1973: Born Mark Chris Zona in Chicago Heights, Ill.
1977: Parents buy lake home in southern Michigan where Zona spends as much time as possible, developing a fishing obsession. 1982: Fishes first tournament at age 9—and wins—splitting $1,100 with his adult fishing partner. 1991: Graduates high school in Chicago Heights and moves to family lake home in Michigan to become a guide and pro bass angler. 1992: Starts fishing national tournaments. 1995: Earns associates degree from Glen Oaks Community College. Zona starts selling bass boats. 1999: Twin sons Hunter and Jakob are born. 2004: Gets a call from ESPN to co-host Loudmouth Bass. The show lasts one season. 2006: Starts hosting World’s Greatest Fishing Show on ESPN and provides color commentary for Bass Center, covering Bass Angler Sportsman Society tournaments with Tommy Sanders. 2008: Hosts Zona’s Awesome Fishing Show on the Outdoor Network.